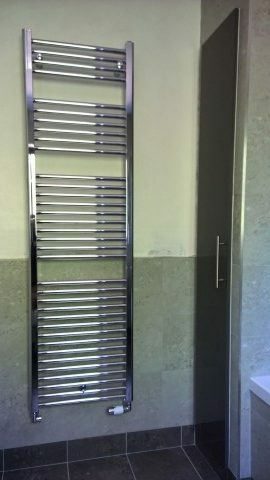 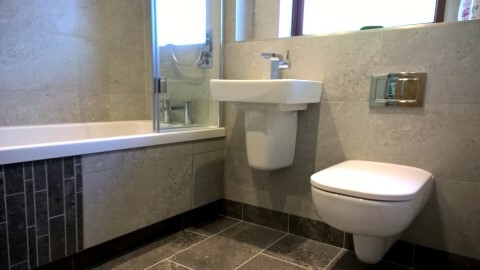 Another of our bathroom installations, this one includes a wall-hung wc with wall mounted flush plate, and basin with semi pedestal for easy cleaning, bath with folding shower screen, rain head shower and diverter handset, chrome dual fuel towel rail, integrated wall unit. 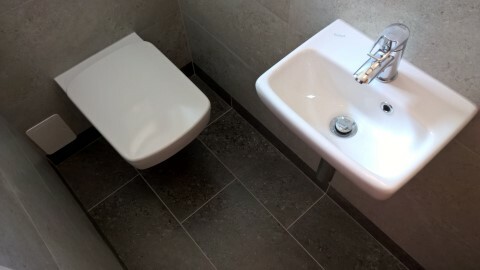 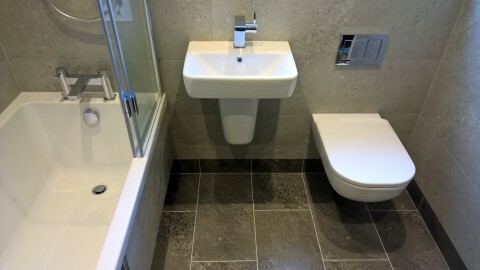 Ground floor WC comprising of wall hung wc with flush plate, hand rinse basin with mixer and semi pedestal. 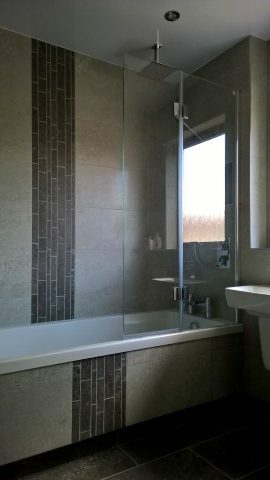 Tiling by Nigel McCann & Electrical work by Paul Smith.